Hispanics Economics develops solutions that deliver a sustainable competitive advantage for organizations reaching out to the Hispanic market in the United States and Canada. The United States is in the throes of fully becoming a bilingual consumer economy; the U.S. became the second-largest Spanish-speaking country in the world 2009. Is your organization ready for an economy in which English is no longer the lingua franca? Hispanics are expected to become the plurality by the end of the century. Is your organization ready for a United States where the largest demographic is not Anglo-Protestant in outlook? U.S. Hispanics are expected to control almost $1 trillion in purchasing power by 2010. How can your organization reach this consumer market? At Hispanic Economics, our in-culture, multi-lingual strategies deliver specific recommendations and identify solutions that allow organizations to understand the cultural differences and social nuances that differentiate the various Hispanic identities in the United States. With a staff of experts who have diverse backgrounds and are versed in the national histories that comprise U.S. Hispanics, Hispanic Economics is uniquely positioned to offer the right solution. To achieve this, there are two books being published specifically for Latinos. One, written by Rose Guilbault and Louis Nevaer, is directed to Latinas � how to advance their careers and advance up the corporate ladder. 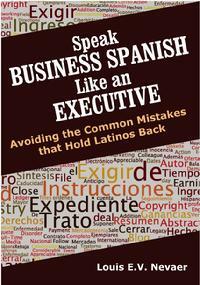 The second book, by Louis Nevaer, focuses on teaching business Spanish to U.S.-based Hispanics. Together these books will help Latinos get on with the business of suceeding in the American workforce. Quick, how do you say “budget” in Spanish? How would you translate the phrase, “To Whom It May Concern”? Why is “application” not the same as “aplicación”? There’s a difference between everyday Spanish and business Spanish! This is undoubtedly among the most misunderstood words by Latinos when speaking business Spanish. For those of us living in the Hispanic Diaspora where people say things like, “They have to submit their completed applications before they can be considered for the position,” it’s only natural to think that the word in Spanish for “application” is “aplicación.” But in Spanish, aplicación is literal: You can apply paint to the wall or polish to your nails, but you cannot apply for employment. (Aplicación, by the way, also means a computer program.For example, Microsoft Word is the aplicación most commonly used for business writing.) The word in Spanish for application is solicitud. Why? Because when you apply for a job, you are soliciting for a position. In British English the same logic applies: One has to submit a solicitation for employment in order to be considered for that position. Make yourself well understood by others by reminding them that they are required to “llenar una solicitud para empleo” if they want to apply for employment. “I’ll see you at my office,” is a common expression. “Fine, I’ll be there.” How do you say office in Spanish? Do you think I’m joking? Isn’t oficina Spanish for office? Yes, that’s right. Everyone knows that. In business Spanish, however, there’s a long tradition of being more specific about the nature of one’s office. Oficina means office, but it also means a workshop and the lower apartments in a building, what corresponds to the cellar in English. Of more immediate concern, Spanish still maintains the tradition of using specific names for different professions. A doctor doesn’t have an office; a doctor has a consultorio. Why? That’s where he or she gives medical consultations. Attorneys and Public Notaries work out of a bufete, since that word suggests an office designed for writing documents and storing archives. Public officials, executives and scholars work out of despachos, since that word implies offices from where orders or instructions are issued (dispatched). There’s nothing wrong with using oficina, but be mindful that you will encounter consultorio, bufete and despacho in the course of conducting business in Spanish, and you need to know the differences between them. “Without your support, our sales force will not be successful,” the memo, sent via e-mail on a droid, stated. OK, so it’s an impersonal pep talk, right? But these days one has to take encouragement where one finds it. And while I want to support you as much as possible in forging ahead in your career through a better understanding and command of business Spanish, I have to take a tough stand and remind you that I will be displeased if you have the nerve to tell me that support in business English is soportar in business Spanish. It is not. In Spanish, soportar means to endure, to bear, to put up with or to be forced to tolerate. (See “Put up with.”) On the other hand, in business English, support means to sustain, to maintain, to lend encouragement and to back. These ideas are conveyed by the word apoyar. Sin su apoyo, nuestro equipo de ventas no tendrá éxito, is Spanish for, Without your support, our sales force will not be successful. Be mindful that sostener also means support, but this is primarily in a non-business context. If someone is frail and they need help standing up, then you can support them, or sujetar or sostener, by physically holding them up. If your child is out of school and unemployed, it might be necessary to sostener their living expenses for the time being. In business situations, on the other hand, most kinds of support are adequately expressed in Spanish by apoyar. It’s time for this, and it’s time for that. It’s time to sit down and work on that report. It’s time to go to the conference room for the conference call. It’s time to head to the airport. It’s time to go over the PowerPoint presentation. It’s always time for something or other in business English. Not so in Spanish! It’s never time for anything … but it’s time for the appointed hour, which has arrived! Remember that in Spanish time—tiempo—refers to the weather, or a specific period of time, such as a season, a harvest, or defined period of time with specific dates (such an epoch, a political period, a social movement, a time of warfare). As a result, in business Spanish, time is hora. It’s time for the conference to begin is translated as Es hora para que comienze la conferencia. In business, if it’s time for something, then the word to use is hora. Imagine an entire book that explains business Spanish in such a manner. Speak BUSINESS SPANISH like an EXECUTIVE: Avoiding the Common Mistakes that Hold Latinos Back is indispensible for Hispanics and Latinos who want to move up within their organization or in their field. • Includes original research on the acceptable vernacular for Spanish as used in the U.S.
By 2050, one in four American workers will be Latina. Yet members of this group are currently among the lowest-paid employees and are afforded the fewest opportunities in the workplace. 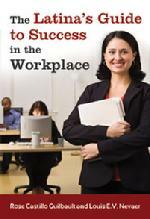 This inspirational book encourages Hispanic/Latina women to challenge the inequities in their cultural ideology which hamper workplace success, while teaching them the work skills necessary to advance their careers. Despite being 20 million strong, Latinas represent America's most undervalued human resource. This career guide is the only one of its kind to focus specifically on empowering the working women of the Latina community to embrace success and build skills for workplace advancement. The Latina's Guide to Success in the Workplace explores the complexity of the Hispanic/Latino identity and the impact of this culture on professional mobility. The author asserts that there are five obstacles which Latinas confront within their own belief system: the idea that women do not need an education; the assumption that the needs of men come first; a belief that it is sinful to desire money; the opinion that Latinas should not be ambitious; and the mindset that successful women in the United States lose their femininity. Throughout the book, up-to-date research, case studies, and inspirational interviews offer strategies for overcoming the cultural factors that limit Latinas and providing a roadmap for achieving success. The growing influence of Hispanics in the workforce has taken on a new urgency: considered by many HR experts to be one of the most significant challenges facing corporate <?xml:namespace prefix = st1 ns = "urn:schemas-microsoft-com:office:smarttags" />America today. With a wealth of research and best-practice examples from corporate America's elite, these expert authors deliver both the strategies and the hands-on tools-detailed checklists, sample questionnaires and forms, and a helpful summary at the end of each chapter-to address such key issues as the increasing use of Spanish in the workplace; the need for quantitative tools for performance reviews; the need for new recruitment strategies; and benefit program changes that take into account the differing experiences, values, and needs of Hispanic workers.